I have a large collection of luxury and handmade crochet hooks. I love to display them and I’m on the lookout for a case I can hang on the wall. Wouldn’t that be awesome? 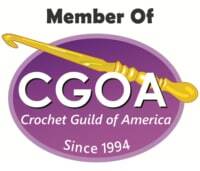 I’m sharing a few of them here because I would love for you to check out the offerings from these crochet hook artisans. I’ve featured Jim’s Wood of Oregon on my website previously HERE and HERE. His work is top-notch and, with unlimited funds, I could probably go a tad crazy in his shop. Jim’s Wood of Oregon is an eBay seller. You can find all of his hooks available HERE. I bought this hook on etsy, though. The shop is Art Functional Wood. The artisan’s name is Jim and he’s in Oregon. I don’t know. I think they really must be the same person. ANYWAY….. would you just look at that hook??!! It’s camouflage! That is just the coolest thing. I was thrilled to get this hook. Note that the ends are made in ebony wood, the two purplish bands are purple heart wood and that awesome camo is called buck eye wood. It’s a green burl and it just happens to be that way. It wasn’t dyed or manipulated in any way. Just the coolest. thing. Ever. I really can’t recommend this artisan enough. If you find yourself in the market for some extraordinary hooks or, if you need to make a list of things you would like to get for Christmas, you may want to consider Jim’s work. You won’t be disappointed. This hook is displayed on my Peacock Lace Infinity Cowl HERE. I’ve featured Jim’s Wood of Oregon on my website previously HERE. This is another gorgeous hook from the same artisan. This amazing hook is made from a beautiful wood called pink ivory. Absolutely stunning! Jim’s Wood of Oregon is an eBay seller. You can find all of his hooks available HERE. This hook is displayed on my Rockin’ the Changes Cowl HERE. Here’s another unique hook from my collection. I love the simplicity of this hook. It has the look of someone just grabbing a branch and sitting out on a porch to fashion a hook. In this case, the branch is from an apple wood tree and is hand made by Joanne of Heaven Spun Creations on Etsy. I have a size L, but you can custom order the size you would like. If her shop is still closed when you visit, I believe that you can request contact when they open up again. This is a newer purchase for me so I haven’t had a chance to try it out yet. Even if I never try it out, it’s still super fun to have in my collection because it offers a reminder that we haven’t always used fancy metal hooks. The project is my Turquoise Mandala Doily, worked in solid. I worked it in solid during pattern testing. This is a really nice set from KnitPro called Symfonie Rose. There are eight birch hooks in the set with sizes marked in millimeters on each one. The hooks have a tiny Swarovski crystal attached on the end. This is a luxurious set and would be an incredible gift. In fact, I remember that it was my Christmas present to myself one year. Trust me. Add it to the list that your family asked you to make each year for gift-giving ideas for you. You won’t regret it. I’ve used the hooks and they are as smooth as butter. There are no snags at all. Absolutely gorgeous hooks. This elegant set of hooks can be found at Webs HERE. “Release the Kraken,” is a legendary quote from Clash of the Titans. The Kraken has been well-known for centuries as the large sea monster cruising the ocean waters off of Norway. Current scientists are now even questioning whether the Kraken existed outside of legend and was actually one of the giant squids they’ve been able to discover. I purchased this terrific hook from Swamp Woods in Bonita Springs, Florida. Amy and David use only salvaged wood. They create beauty from wood they just happen to find in the wild!. No trees are harmed in the making for their products. These hooks are completely one-of-a-kind. You won’t be able to find another one exactly like my gorgeous Kraken hook. Here is a brief excerpt from the description of one of my Swamp Woods hooks which I will be featuring later. I love seeing stuff like this! This hook is hand carved from a unique section of ear tree burl wood. This is the only piece of size and hardness to make a hook from the log I got from the park. They had trimmed the tree and I found this log in the burn pile. The sap had oozed out and the entire chunk of wood was in the weird alien-like goo cocoon. I thought, well that is bound to be interesting, so I took it home and dried it slowly for 6 months. The burl wood was stained by the sap tannins dripping through it as it dried so it has gold, brown, tan, and even some greenish hues to it. I browse Swamp Woods regularly because I love the idea of owning something so unique. 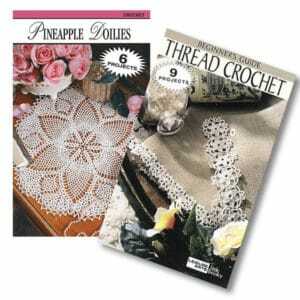 Be sure to have a browse because you’ll find more than just crochet hooks. You’ll also find hair sticks, which will work double-duty as shawl picks! This hook is displayed on my Denim Blues Fling HERE. 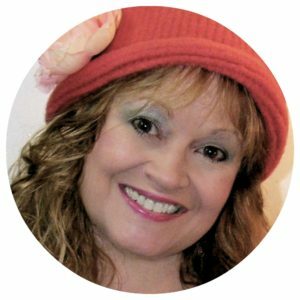 As you may know, I have a large crochet Facebook group called FREE CROCHET PATTERNS. Many people ask for help in different areas of crochet and there was a time when I jokingly called the group my 1-800 Crochet Help Line. I had to stop doing that, though, when people started asking me for the phone number. ha! So, one day a couple of weeks’ ago, I was asked about the very large gap in standard hook sizing between the 10mm and the 15mm. My quest began. This is the link to Turn of the Century Hooks that I followed to purchase this hook. When collecting crochet hooks, it’s about more than just the hook. It’s also about the artisan. My special hook collection includes many hooks that were lovingly turned by individuals, not manufactured in bulk. This gorgeous hook was made by Jim’s Wood of Oregon in ebony, bocate and purple heart woods. So gorgeous! I remember that I was actually looking for a set of bocate hooks. It was during that search that I discovered this artisan and these beauties! I am still on the look out for bocate hooks and, although I’ve been able to find some, they are mainly only in smaller crochet hook sizes. I wonder whether there is something about the wood that only allows the smaller hooks? In any case, I will continue to keep my eyes open for them. Jim’s Wood of Oregon is an eBay seller. I can only find his shop on eBay. You can find all of his hooks available HERE. I own a LOT of crochet hooks. My collection is a vast assortment of regular crochet hooks and Tunisian crochet hooks. Naturally, I have my favorites to use for daily use and I even have extras of those, but I also can’t resist gorgeous crochet hooks. I see nothing wrong with having a “side hobby” which involves collecting hooks, right? I think that I will post some of my hooks here on my website to share them with all of you as well. I have a set of these Steampunk hooks which I found on etsy. The seller is Melanie at Dynamic Alley. The project is the Berry Bubblegum Fling, free pattern HERE.